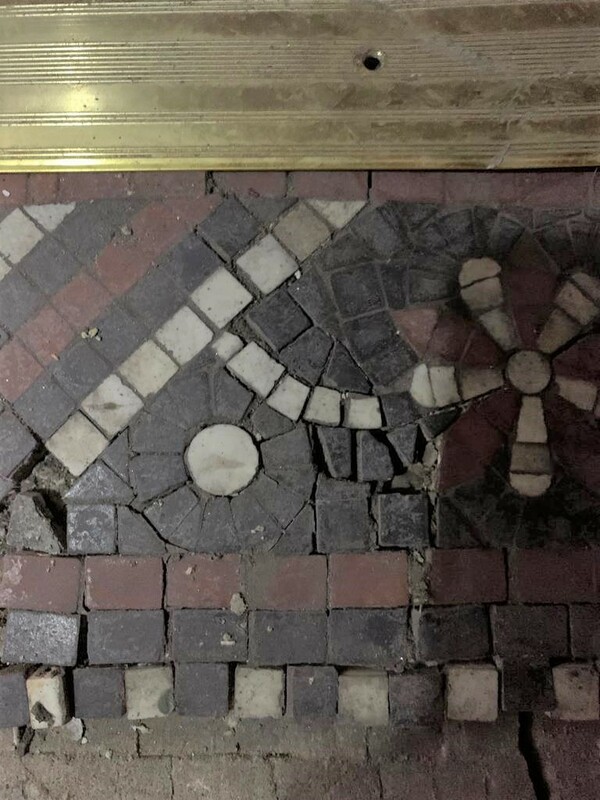 Late last year we were awarded a contract to Repair and Restore a Tesserae Mosaic floor at prestigious property in the Lace Market area of Nottingham City Centre. 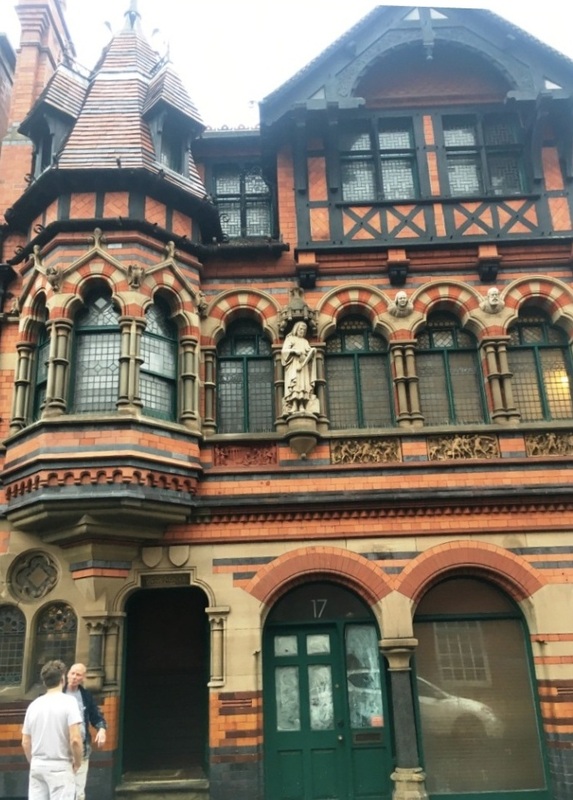 The property was once Watson Fothergill’s office who is a famous Victorian architect who ran his business from the site in 1897 until 1912 when he retired. He designed over 100 Victorian & Edwardian buildings from 1864 mainly in Nottinghamshire and some further afield. They were mainly in the Gothic Revival and Old English Vernacular Style. 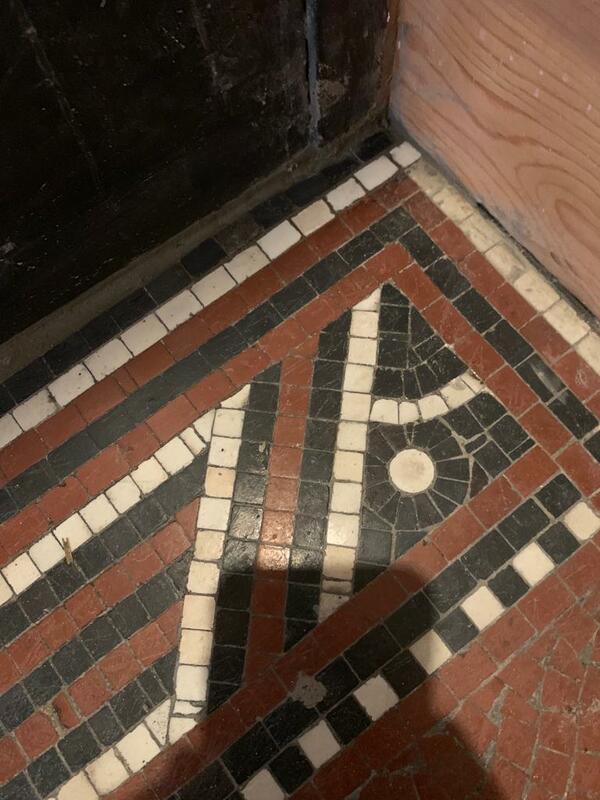 Inside the property is an Edwardian Tessera Mosaic Clay Floor on three small landing levels in the entrance & stairwell. Through historic building movement, inherent moisture issues, and a lorry crashing into the property a couple of years ago. 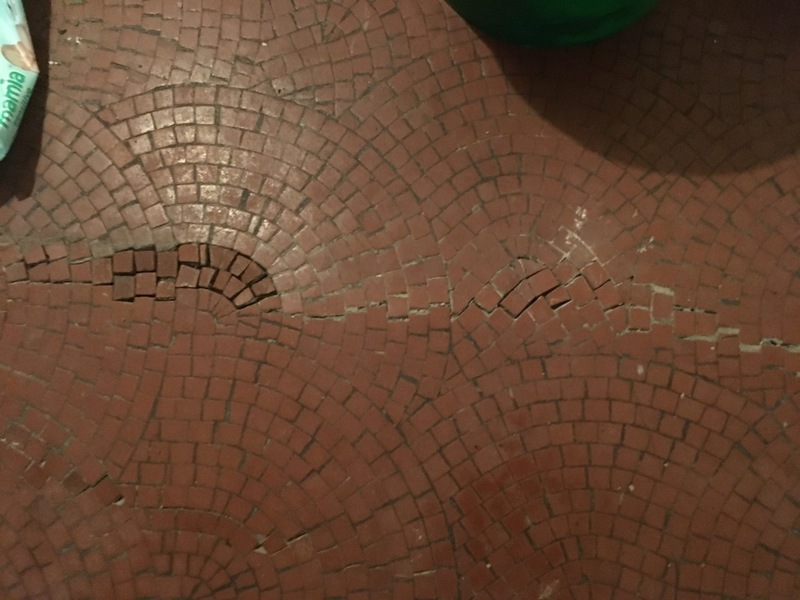 The floor had developed structural movement cracks. 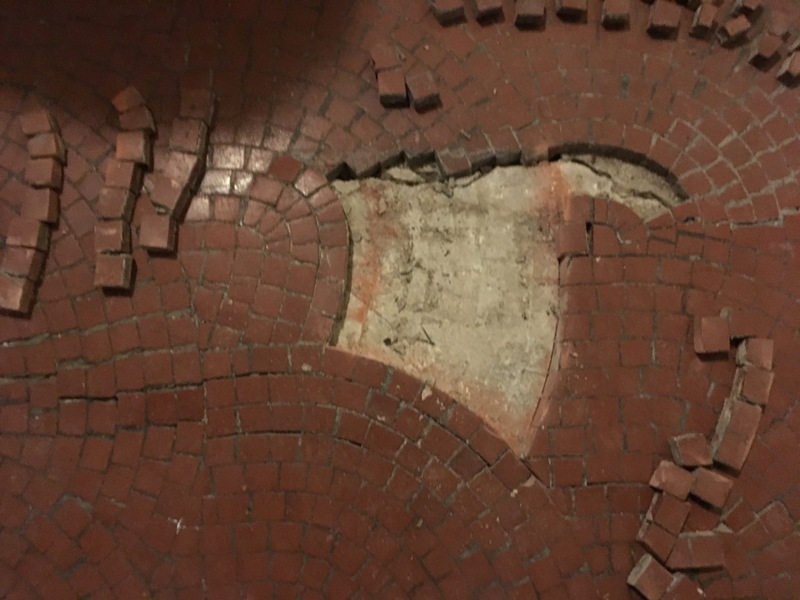 This had resulted in sections of the tiles being raised or lowered and others becoming cracked, damaged and loose. Previous repairs to stabilise the damage had been carried before, but this has mainly involved just filling cracks. Repairing the damage to the floor was long and painstaking work which took three days. 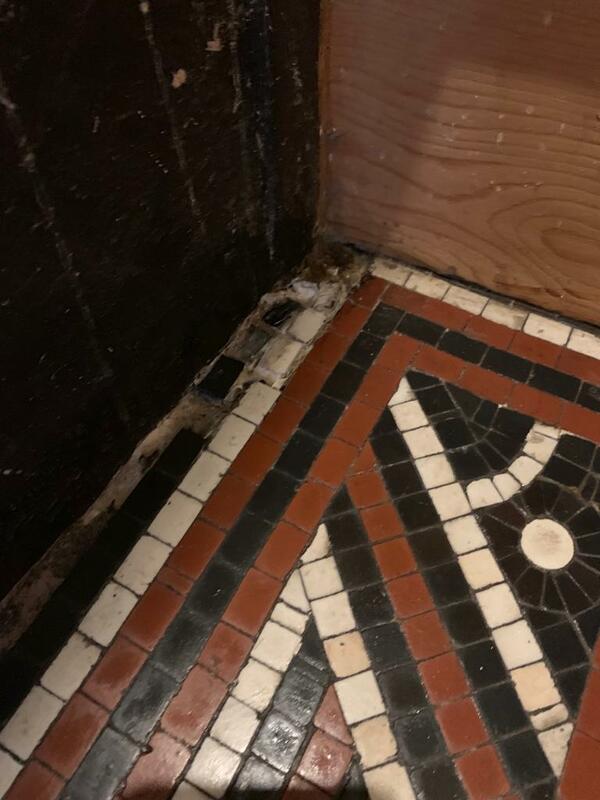 We started by removing the makeshift repairs and meticulously rebuilt the damaged areas replacing the damaged loose tiles, and levelling the floor were possible until it was back to a uniform appearance. Once the repairs were complete, we carried out a low-moisture restorative cleaning process which took a further two days. The process involves using Tile Doctor Remove & Go coating and contamination removal product which is first sprayed onto the floor and left to dwell for ten minutes. 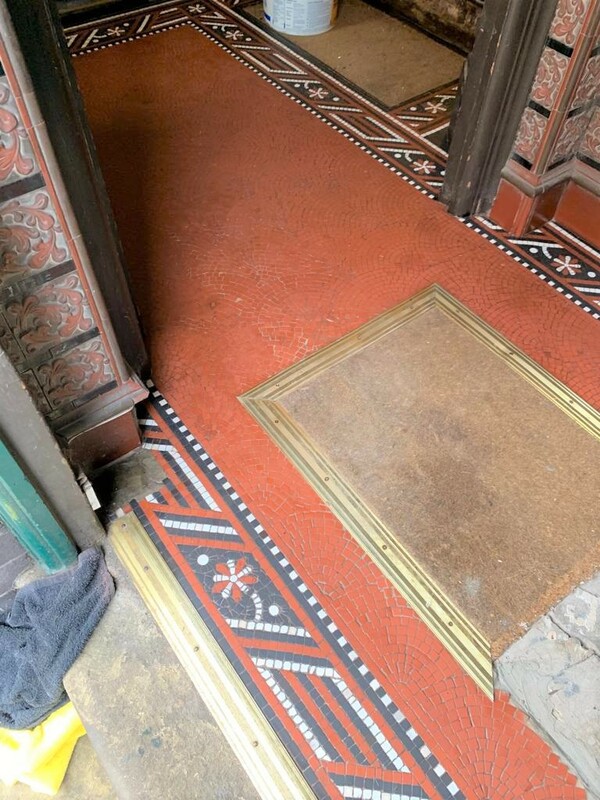 The floor is then scrubbed with a set of Tile Doctor abrasive burnishing pads which level off the raised tiles and hone them to remove years of ingrained soiling. The resulting slurry is removed by vacuuming and lightly damp wiping with microfibres cloths to ensure the use of moisture was kept to a minimum. We use a low moisture cleaning system to minimise the risk of efflorescent salts appearing on the floor as it dries out; old floors are prone to this problem as they were installed without a damp proof membrane which is a relatively modern invention. The building is being converted into accommodation and heating had not yet been installed when we carried out the work in December 2018. As a result, it was necessary to force dry the floor with portable heaters and air movers. Only when we were happy the floor was dry did we apply a sealer. For this situation I used four coats of Tile Doctor Colour Grow which is a colour enhancing impregnating sealer that seeps into the pores of the clay tile protecting it from within. 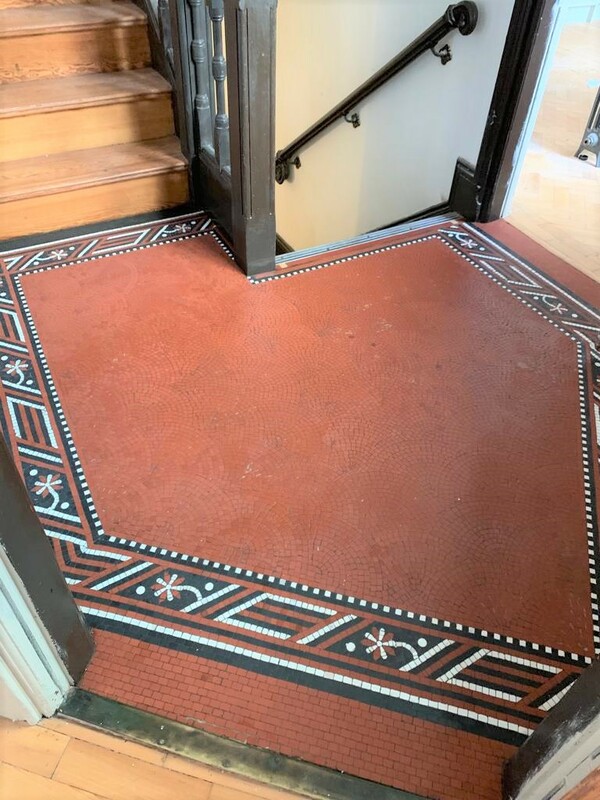 This restored colour to the tiles and being a fully breathable product will allow the floor to breath and pass moisture vapour from the sub floor. Again, this is a very important consideration due to the lack of a damp proof membrane, if moisture was trapped below the tile then it would slowly spread out towards the walls resulting in rising damp.